Whenever I make anything involving pâte à choux (a light French pastry dough), I think of my Grandma Fox. Of course, Grandma probably never called it that. We mainly just knew it as “cream puff dough,” because that was her famous dessert. She passed the recipe and technique on to my mom, who now carries on the tradition. Having watched each of them make cream puffs plenty of times over the years, I was actually in the process of making them myself when Grandma died years ago. It was beautiful and sad and ironic and not ironic at all to be making one of her favorite desserts when I got the news that she had passed. Fast forward a few years later to my first day of culinary school. In Pastries I, the chef assigns each student a different project to start with, and my assignment? Cream puffs, of course. I smiled because I knew how to make them already, and also thought that my Grandma would have loved to hear that story. The thing about pâte à choux dough is that it is extremely versatile. Of course, it can be used to make sweets like cream puffs, beignets and éclairs, but it can also go savory in things like dumplings and Parisian gnocchi. 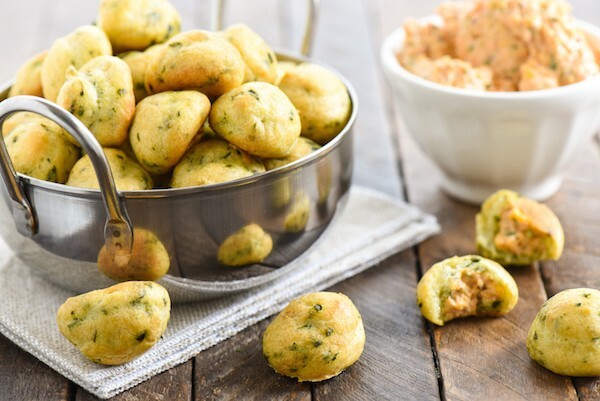 Some of my favorite little savory party bites to make are gougères, which is a little puff of choux dough made with cheese (usually Gruyère or Parmesan). 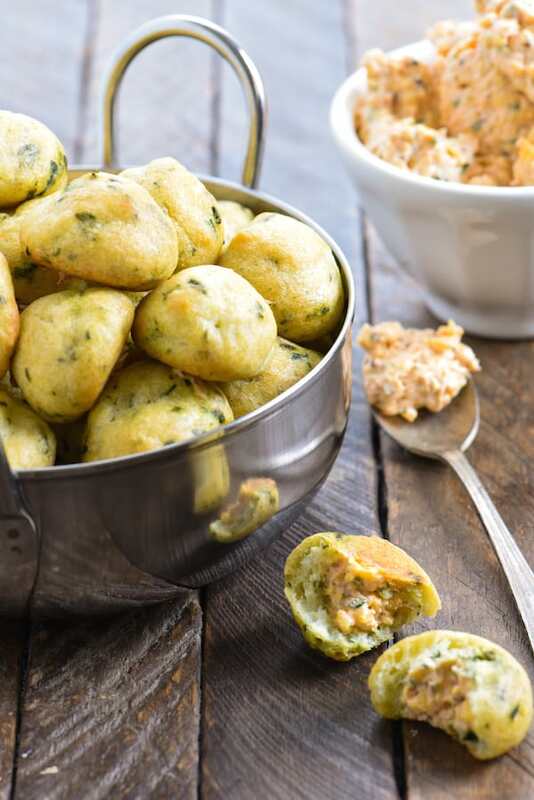 Today, I’m bringing you gougères with double the cheese action, plus triple the herb action. The gougères are full of Gruyère and lots of savory herbs. My pick for the herbs? Chives and Parsley from the Gourmet Garden Lightly Dried line. 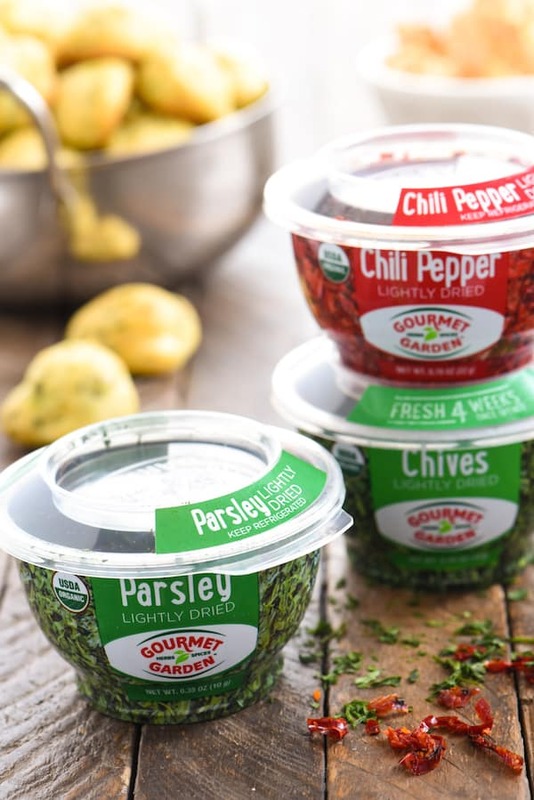 These herbs are exactly what they sound like – fresh herbs that are very lightly dried. They have all of the flavor of fresh herbs, but because of the slight drying process, last up to 4 weeks once they are opened! While the gougères were just lovely on their own, I wanted to go crazy. My love of pimento cheese runs deep, and I’ll pretty much use any opportunity to make a batch. So, I made an extra light and fluffy batch of pimento cheese using whipped cream cheese and all the usual suspects, plus another hit of Lightly Dried Chives, as well as a pinch of Lightly Dried Chili Pepper for a bit of heat. I used a piping bag to fill the gougères to the very brim with pimento cheese. And that, my friends is a cheesy, herby wrap on these Herb Gougères with Pimento Cheese. For more information on Gourmet Garden, be sure to follow them on Facebook, Twitter, Pinterest and Instagram. Make the Herb Gougères: Preheat oven to 400 degrees F. Line 2 rimmed baking pans with parchment paper. In medium pot, heat water, butter and salt to boiling over medium heat. Add flour and cook 1 minute, stirring rapidly with wooden spoon the entire time. Mixture should form dough that pulls away from side of pot. Remove from heat and transfer mixture to bowl of stand mixture fitted with whisk attachment. Mix at medium-low speed 1 minute. Add eggs 1 at a time, mixing until just combined. Add Gruyere cheese, parsley and chives; mix until just combined. Using spoon or piping bag, dollop dough by heaping teaspoonful onto prepared baking pans (you should have about 44 gougères). Wet finger with water and gently press down any peaks. Transfer to oven; bake 20 minutes or until golden brown, rotating pans between upper and lower oven racks halfway through baking. Transfer baking pans to wire rack and let gougeres cool completely before filling. Meanwhile, make the Pimento Cheese: In bowl of food processor fitted with knife blade attachment, combine all ingredients. Pulse 5 to 10 seconds or until mixture is very well combined. Using the tip of a piping bag, poke a small hole in the bottom of each gougère. Use piping bag to fill each gougère with pimento cheese (you may have some pimento cheese left over - use it to make a sandwich, or serve with crackers). If desired, transfer filled gougères to 350 degree F oven for 3 to 5 minutes or until cheese is warmed through. Serve immediately. Home Chef Tip: Want to make your gougères all exactly the same size? Grab a small circular item and use it to trace circles onto a sheet of parchment paper. Lay that sheet onto a rimmed baking pan, then place a clean sheet of parchment over it. Use your piping bag to follow the pattern while piping. Slide the patterned sheet out from under the second sheet of parchment before baking, and save your pattern to re-use again and again! Disclosure: This is a sponsored post written by me on behalf of Gourmet Garden. 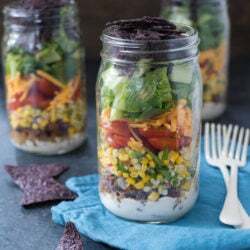 Sponsored posts help me pay for the costs associated with this blog (groceries…lots of groceries), and help support me as I pursue a career in recipe development and food photography. All opinions are 100% my own. Beautiful…..brought a tear to my eye. Maybe in her honor when you come for Christmas which is around when she passed,make some creme puffs and we will celebrate her passing again. I’m pretty familiar with pâte à choux but never really thought of it in a savory way before. 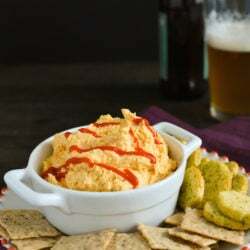 Not only do yours sound divine, pimento cheese is my weakness. Triple yes to this recipe. I’ve actually never been a fan of cream puff dough when it’s filled with cream. But with cheese? I’m SO in! I really need to make gougeres more often. 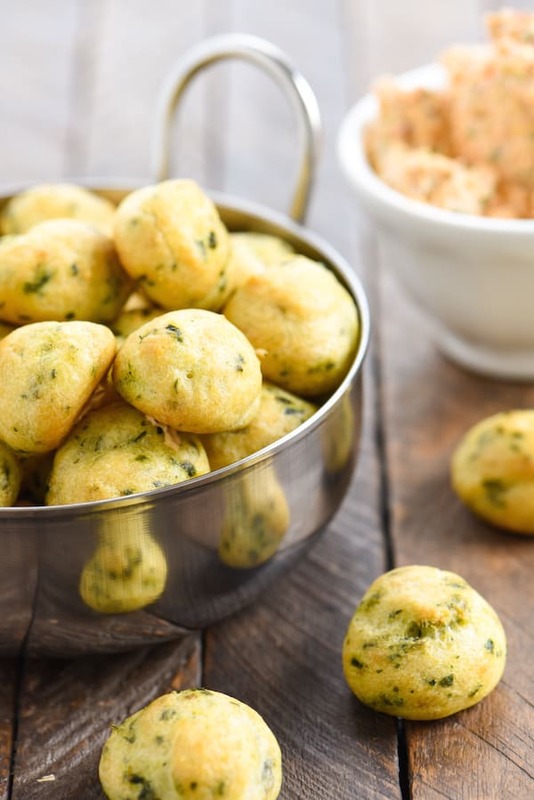 These herb-infused bites look amazing. Your grandma would have been proud. Thanks Jennie 🙂 Gougeres are so fun, and I always forget how un-complicated they really are. I also need to make them more often! I am going to confess a secret to the readers of your blog … I ate, literally, 15 of these things the day you made them. We had them as a strange side dish to a salad and I loved them. I would eat them as a snack, an appetizer, on top of a main, maybe even in place of dessert. The pimento cheese was very tasty. And the pastry divine. P.S. I loved the story about Grandma Fox. Though she loved dessert so much she probably would have scoffed at savory cream puffs. I absolutely love these photos! These little guys would disappear embarrassingly fast around here. Love this! Hi, lovely recipe! Just wondered at which point grated Gruyere is added in the dough? this is such a sweet story! I love savory “cream puff dough” too. I bet my husband would love it if I made him these. I always go sweet with my choux dough but I love cheese and definitely pimento cheese! These really are perfect little bites.